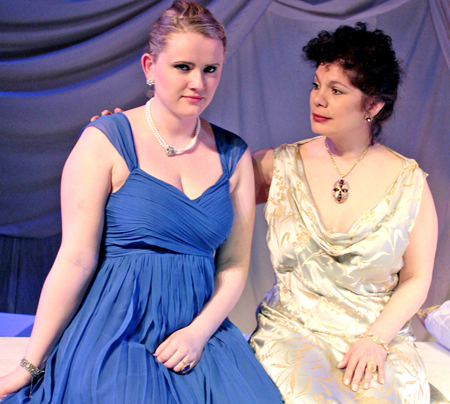 Shelter Islander Susan Cincotta will appear in the Center Stage production of Christopher Hampton’s “Les Liaisons Dangereuses” at the Southampton Cultural Center, opening on Thursday, March 15 and running for three weekends, ending Sunday, April 1. Curtain time for opening night and Friday and Saturday performances is 8 p.m., Sunday matinées are at 2:30 p.m. The play, based on an 18th century French novel, enjoyed a successful British run and was also performed on Broadway. The film adaptation earned seven Academy Award nominations. southamptonculturalcenter.org or at the door. As a cast member, Ms. Cincotta has discounted tickets — 10 percent off — for Island residents, available until March 11; she can be contacted on her cell phone, 514-9891. The Southampton Cultural Center is located at 25 Pond Lane.